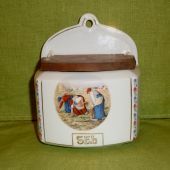 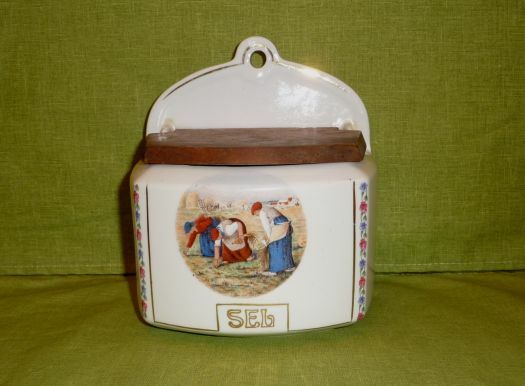 Nice salt box in porcelain, design of "Les glaneuses", painting of Jean-François Millet. 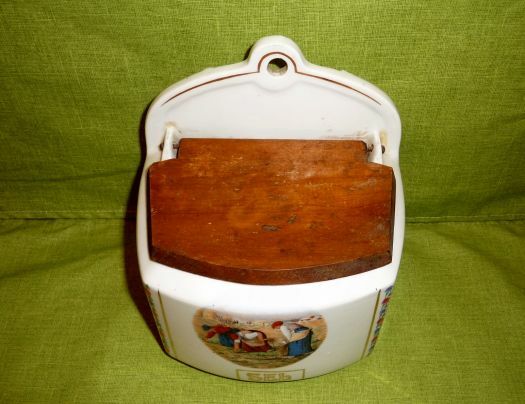 Good condition, the wooden lid could be a little improved, but nothing obligatory. 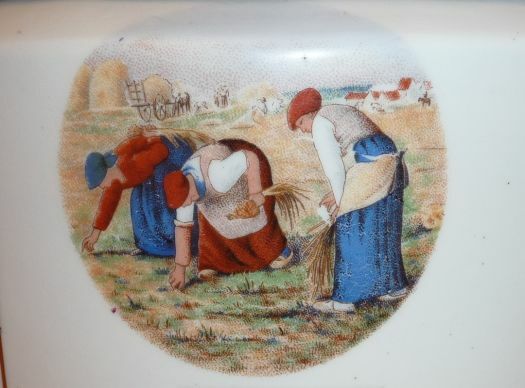 15 x 12 cm ; height 17 cm.